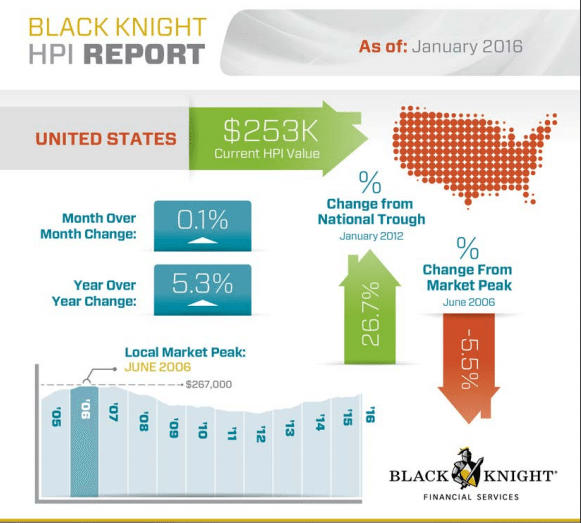 Black Knight Financial Services released its January 2016 residential real estate transactions report, the Home Price Index (HPI). Released on March 28, the report found that home prices are up 5.3 percent on an annual basis, and up 0.1 percent from the previous month. The U.S. HPI was reported at $253,000, and is 5.5 percent off June 2006 peak of $267,000, and up 26.7 percent from the market’s bottom. New York leads the nation with a 0.9 percent month-over-month appreciation​. Florida and Pennsylvania dominated the top 10 best-performing metros. The west coast of Florida dominated the biggest movers metros. Naples, Punta Gorda, Cape Coral and Sarasota are all located on the west side of the state. 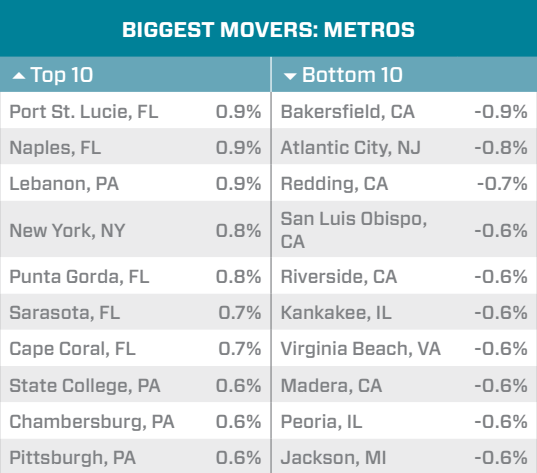 California dominates the bottom 10 metros, with Bakersfield ranking in the top spot falling 0.9 percent. The state of California saw no change in home prices in the last month, however on an annual basis the state saw a 7.4 percent increase in prices. 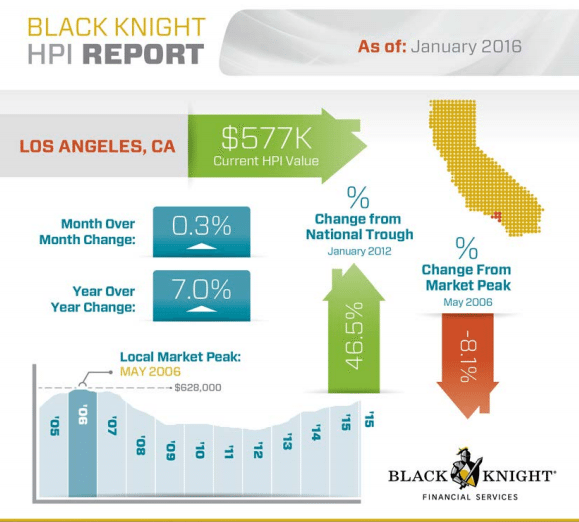 In Los Angeles, the HPI is 8.1 percent lower than the area’s peak in May 2006. 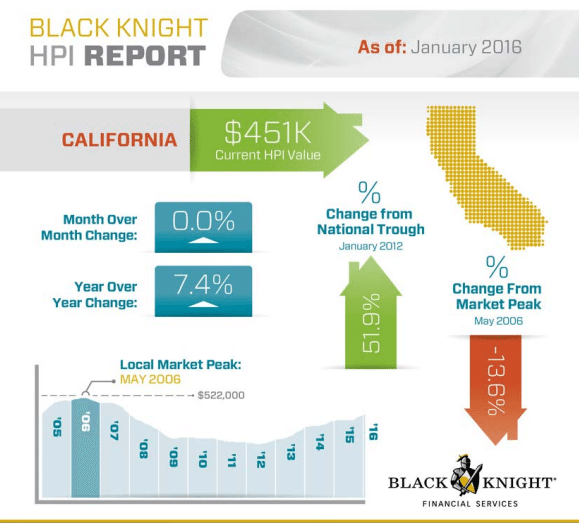 The HPI was $577 in January, which was a 0.3 percent increase over the previous month. Los Angeles home prices are 46.5 percent higher than when the market hit rock bottom. 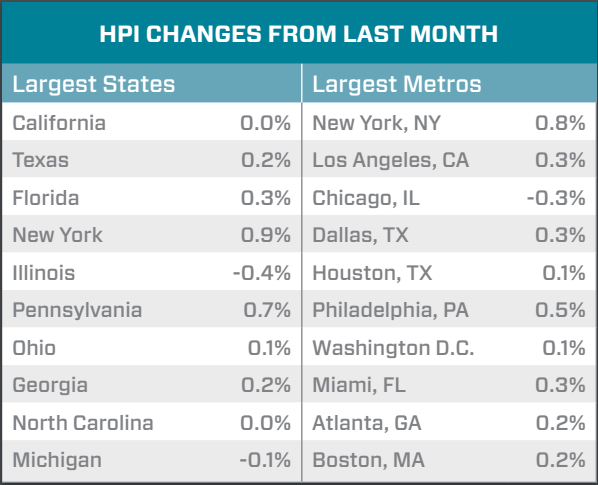 On an annual basis, the HPI increased 7 percent in January.